This great-tasting shake supports heart healthy while you enjoy a rich, chocolate flavor derived from the exotic, heart-healthy cupuaçu fruit. Cupuaçu has two unique powerful antioxidants with 11 types of antioxidants! Cupuaçu Fruit - Supports your heart health. L-carnitine - This nutrient supports healthy arteries and healthy levels cholesterol. L-arginine - Great for healthy blood pressure by keeping blood vessels relaxed. Camu camu - Use the vitamin C in wild jungle berry to support your blood vessels. One of the main roles of acetyl L-carnitine (ALC) is to carry omega fatty the energy into the cells, so that these fats can be oxidized for energy. Cupuacu is from the Rain Forest and is prized for its rich amount of phytosterols. Cupuacu is heavy with Vitamins B1, B2, B3 (Niacin), both fatty and amino acids. Compared to the popular antioxidant-packed super food Acai berries, Cupuacu contains greater amount of nutrients per pound. Heavy with multiple vitamins B1, B2, B3, Vit A &C, including nine oxidants. The most important ingredient of the fruit is the phytonutrient that possess a number of health benefits. The fatty acids of the fruit Omega 3 and Omega 6 reduce the bad cholesterol and retain the best quality cholesterol unharmed and intact. Niacin is one of the above mention vitamins in cupuaçu and is a common name for vitamin B3 that is dealing much with the energy production of our body. Niacin’s benefits include its influence on blood circulation and lowering the risk of cardiovascular disease including reducing heart attack risk dramatically. 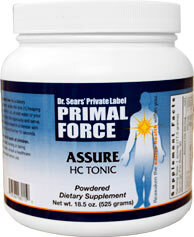 It’s a naturally occurring amino acid that is vital in the metabolism of fat. It transports fatty acids into the cell’s mitochondria, which are the metabolic “furnaces” of a cell. The fatty acids are “broken down” and converted into energy in the mitochondria. The physiological importance of L-Carnitine was discovered in the 1960’s. It is made in the liver and kidneys and most of it resides in the body’s muscle tissue.